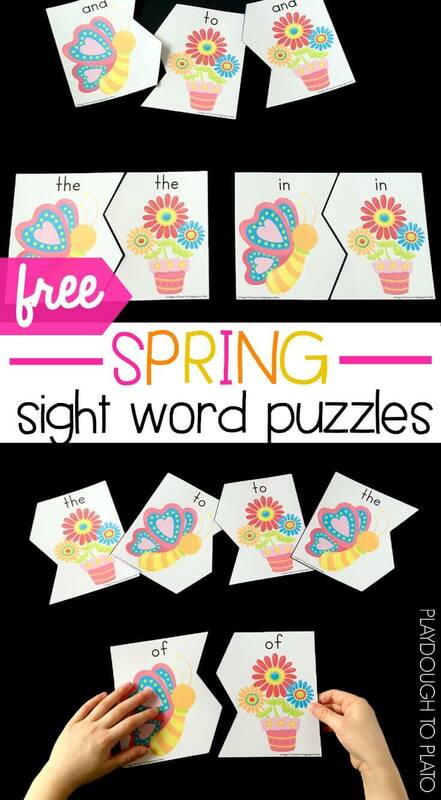 Add a huge dose of fun to your literacy centers or word work stations with a batch of spring sight word puzzles! They’re the perfect compliment to our free flower CVC match up. Signs of spring are everywhere! Ducks are wandering around the park in our neighborhood and flowers are popping up in our yard. 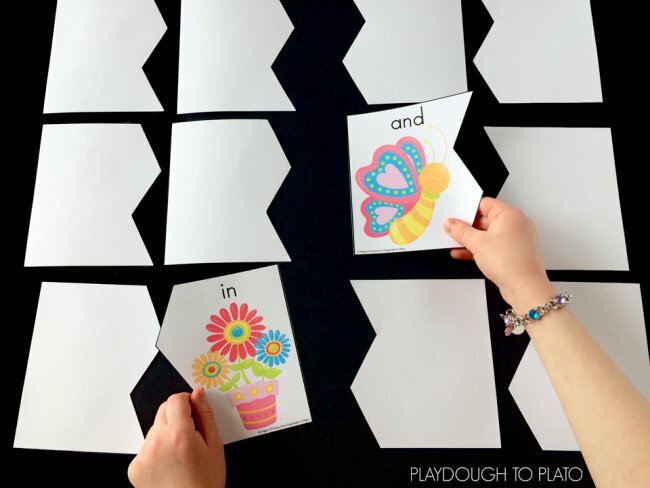 It’s the perfect time for these spring sight word puzzles. 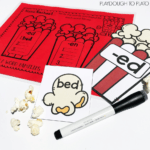 To prep this activity, I printed the pages on cardstock to make them more durable. 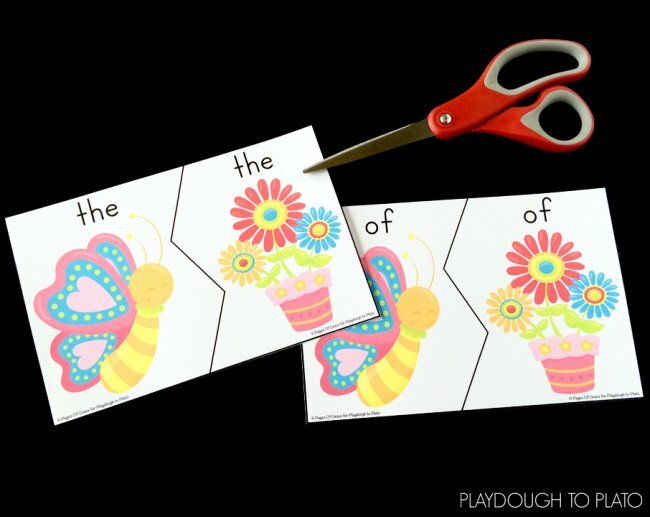 Then I cut around the outer lines using a paper cutter and cut the zigzag lines with scissors. 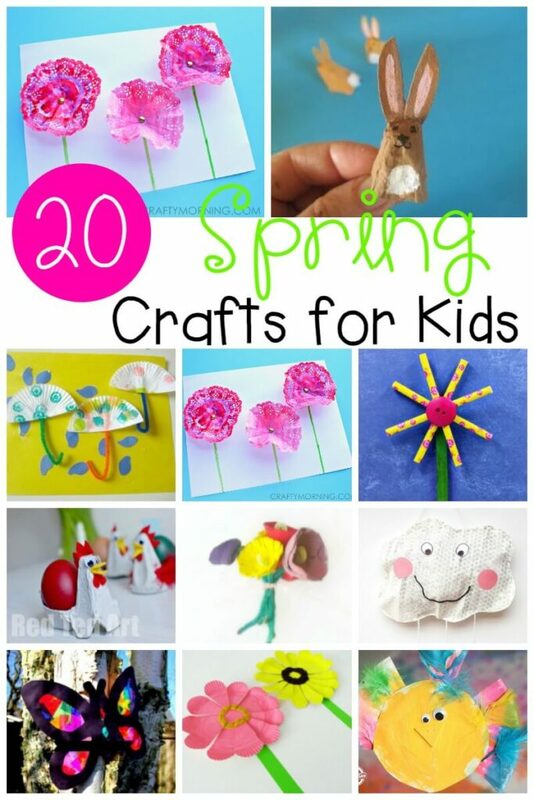 To make them last even longer, you can laminate them after cutting them out. 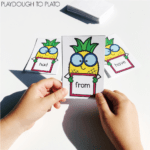 As soon as my two older kiddos saw these cards, they were super excited to play! We did two different activities with them. 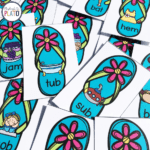 For Middle Sister (preschool), I started out by giving her 3 sets (6 cards total). We spread the cards out on the table, and she put the pieces together while saying the words. Then I added a few cards at a time until she was able to complete all 20 puzzles. 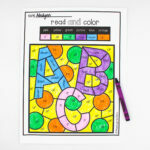 For Big Sister (1st grade), we used the pieces to play a game of memory. We started by putting all of the pieces face down in two piles separated by the direction of the zigzag. 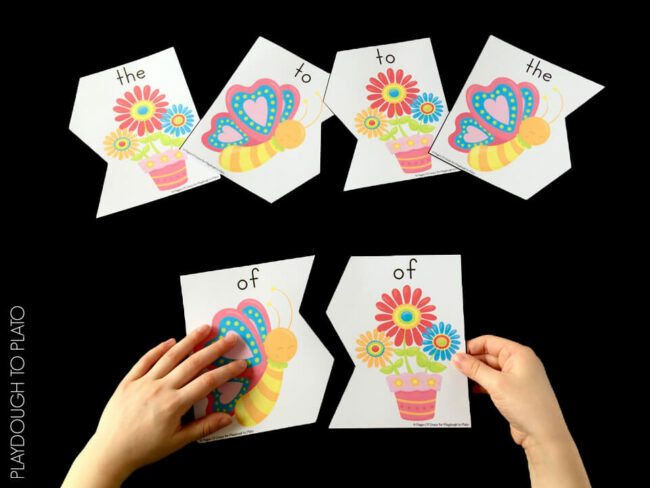 She flipped over one card from each pile and read the words. If they were a match, she kept the cards and took another turn. If the cards were not a match, she flipped them over, and it was the next player’s turn. 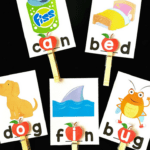 If some of your students have mastered all of these words and need a challenge, you can differentiate by having them use the words in a sentence. 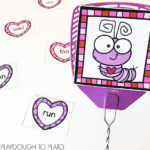 Ready for some fun spring sight word practice? 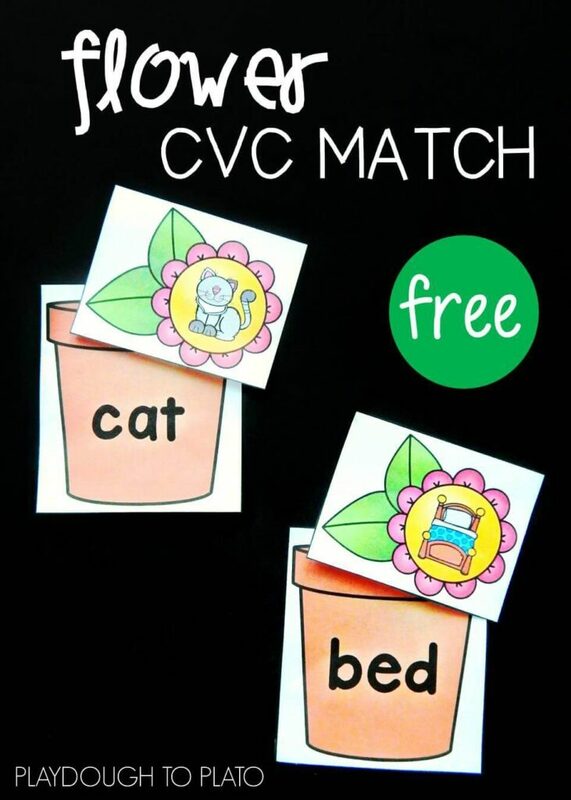 Click the blue download button below to grab your free sight word puzzles and then hop over to our flower CVC match and spring crafts too!